In 2002, Mark Shuttleworth sold the digital security company he founded, for $575 million in stock. He cashed out almost immediately, spending $20 million on a trip to space and a Bombardier Global Express Jet. His real passion: Open source, technology and philanthropy. Since 2004, Shuttleworth has spent over $25 million developing and distributing Ubuntu, a free open source software. Shuttleworth has also committed $20 million to The Shuttleworth Foundation, a purpose trust that provides funding for individuals who are actively involved in social change projects. 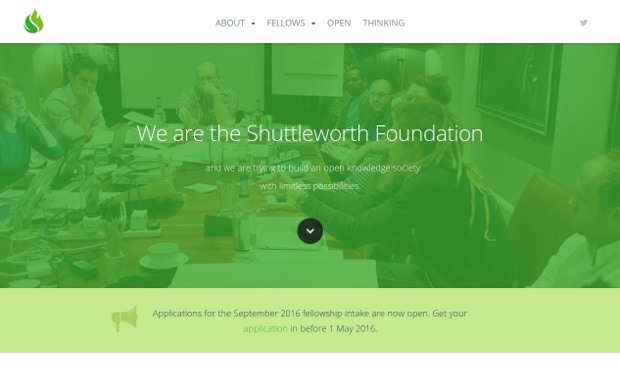 The Shuttleworth Foundation has a particularly interesting approach to philanthropy. According to their website: they identify amazing people, give them a fellowship grant, and multiply the money they put into their projects by a factor of ten or more.